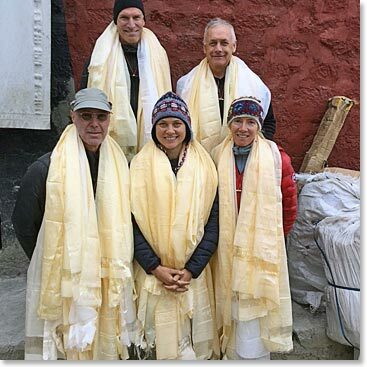 We began our day with a rigorous walk climbing from Namche on the forest and rock trails. 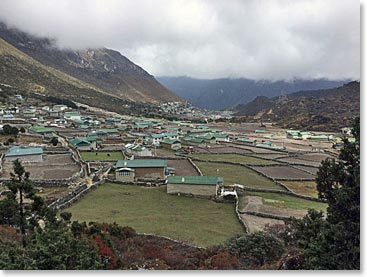 The path led us up through the clouds to a high ridge with views in both directions down upon the villages of the Khumbu, the home of the Sherpas. We reached the site where memorials were built for Louise and Belinda Hillary, the wife and daughter of Sir Edmond Hillary. Louise and Belinda died upon takeoff from the airport in Kathmandu in 1975. After his death a few years ago a memorial to Hillary himself was erected at this site. 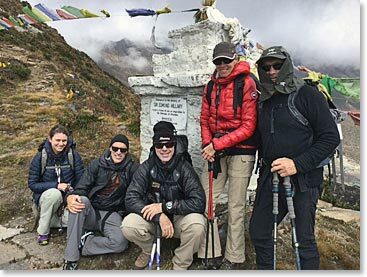 The Hillary family was always most close the Sherpas of the village of Khunde. This special relationship has endured for decades and continues to this day. 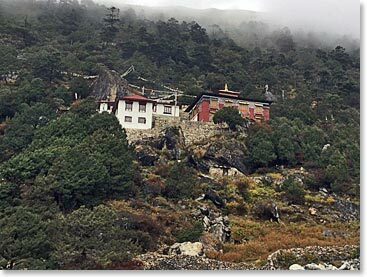 After we visited the memorials we descended down to the green, well ordered village of Khunde. Many structures here were severely damaged by the earthquakes earlier this year. 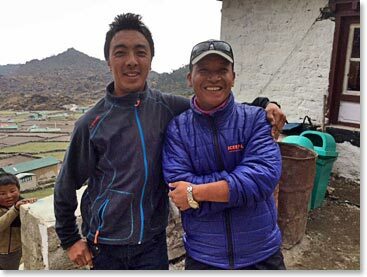 In fact, one of Berg Adventures most beloved staff, Nim Phuti Sherpa had her house destroyed by the earthquake. 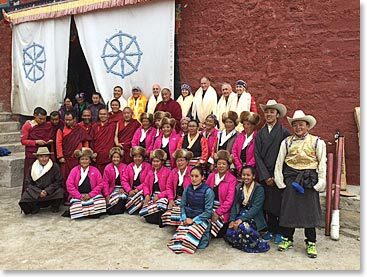 We had also learned right after the damage was assessed that much of the work on the rebuilding of Khunde's beloved monastery had been destroyed. This was a terrible blow to the community and the Berg Adventures community responded promptly and generously. Within days after the earthquake we had commitment for funding that was sufficient and the complete rebuild would be possible and work commenced immediately. It was only in our wildest dreams that we thought that we might walk into Khunde this October and see what we saw today. 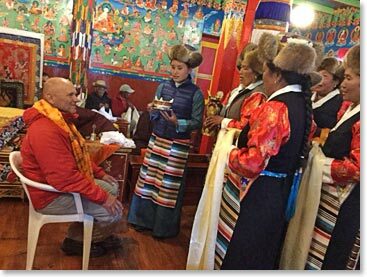 Work on the Gompa is almost completely finished and it is operating. 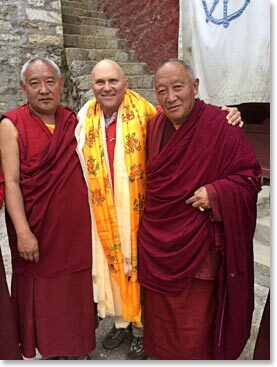 The monk's kitchen has been rebuilt and once again this thriving religious center is working for the people of Khunde. 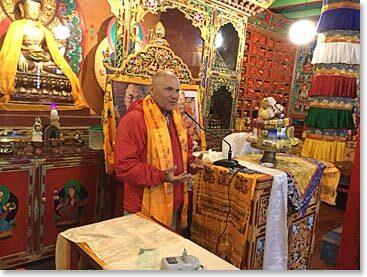 Our group was the first foreign visitors to enter the Gompa for a blessing. It was a beautiful and joyous occasion. 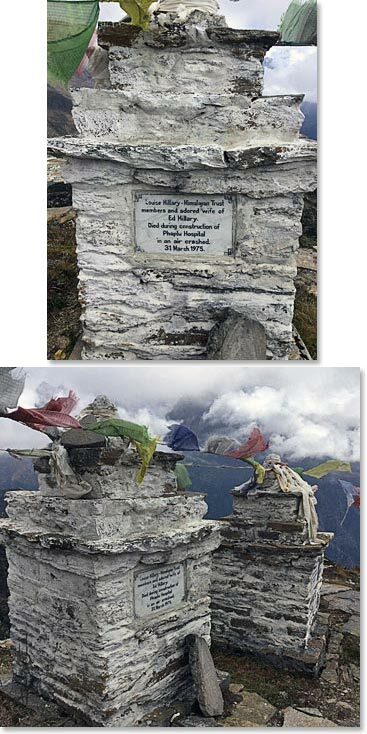 Our first stop of the day was on a ridge high above the Khumbu where there are memorials for sir Edmonton Hillary, his wife Louise and his daughter Belinda. 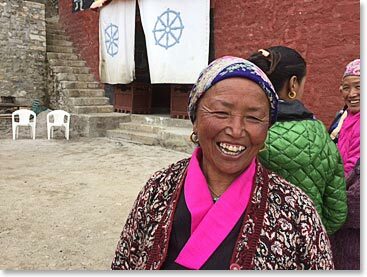 As soon as we walked toward the monastery in Khunde we saw the familiar smile of Nim Phuti. 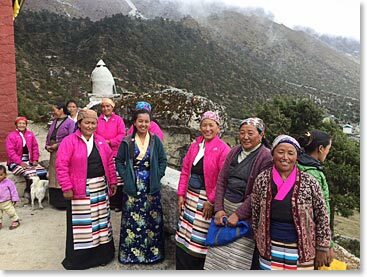 All of the women of Khunde had gathered to meet us. This was to be a special day. 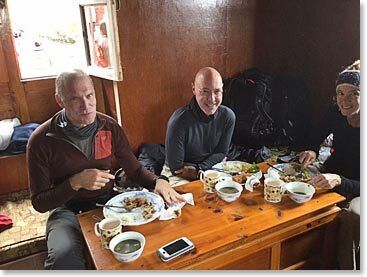 First we were served a wonderful lunch at the monastery. 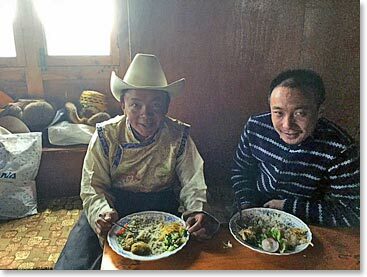 It seemed like the whole town turned out to celebrate and enjoy a good lunch. 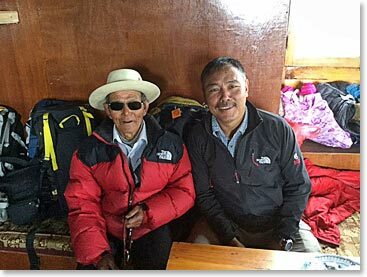 Ang Temba and his father joined us. 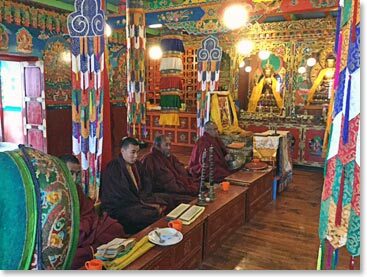 After lunch it was time to go inside the monastery newly completed after earthquake damage. The contributions from Berg Adventures community made this possible. 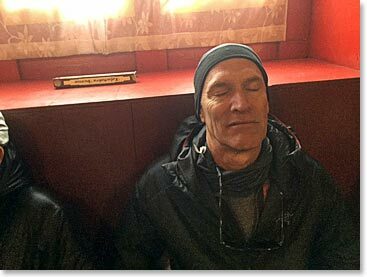 Gord listening to the deep resonate sounds of the monks chanting, the horns, drums and cymbals. After the blessing Wally Berg spoke to the community. 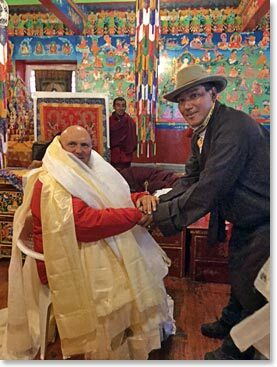 Chang and Khata were offered to Wally Berg as thanks for all that Berg Adventures has done for the reconstruction of the Khunde Monastery after the earthquake. 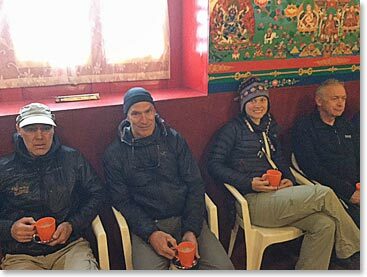 Berg Adventures team was the first foreigners to enter the Gompa after the reconstruction for a blessing. ; we are a blessed team.